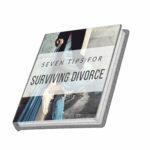 I was completely overwhelmed during my divorce. I didn’t know what my options were or who to turn to for help. I made so many mistakes throughout the process that I lost my home, my credit, my friends, and my support system. I felt so alone. But I learned how to get through this overwhelming process. I learned how to stand up for myself when dealing with my ex. I learned how to choose the right lawyer. I took charge of my finances. And I learned how to deal with my loneliness. When I got through my divorce, I wished that I had the support of another woman to help me through it- someone who could give me hope that everything was going to be okay. I became a divorce strategist so I could help other women avoid the mistakes that I made. I invite you to call me today so that we can discuss what you need to know so that you can get through your divorce without being legally, emotionally, and financially devastated. The sooner we get started, the better position you will be to come out this positively.